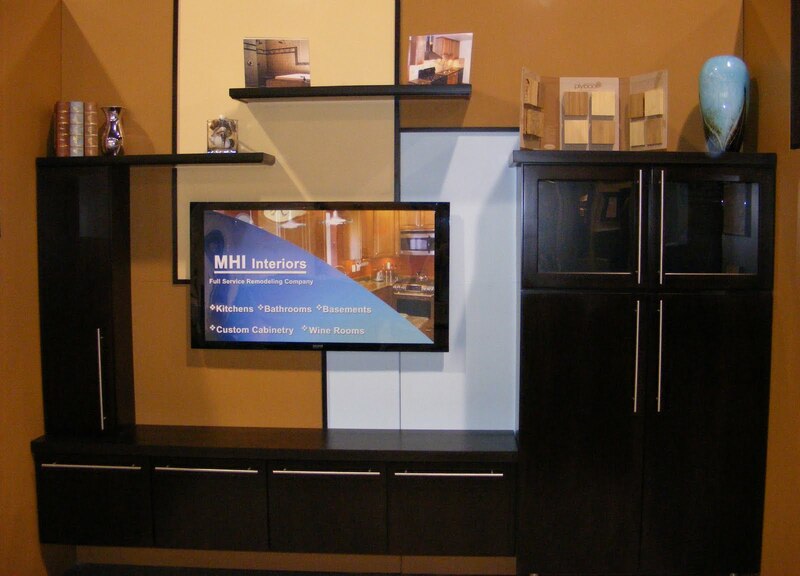 At the 2011 Winter Novi Home Improvement Show. This space is 10′ x 10′. Merillat Cabinetry Fusion Style in Kona Finish was installed. We made the tops for the bottom cabinets, taller cabinet, the floating shelves and stained all to match cabinetry. As an option, you could use granite, quartz, or solid surface material for the tops over the cabinetry. The mock TV is 42″, but a larger TV could be installed. Creative paint detail as personality to the space. Small spaces can look stylish and this is one example of many that can be used. The Novi Home Improvement Show will be this weekend – January 28, 29, 30th. Come see all the vendors and get inspired. 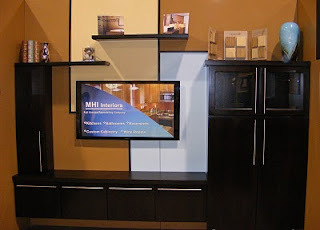 Visit MHI Interiors location at 912 and see our display using cabinetry in your family room. Pantone has announced its 2011 Color of the Year. Pantone is a world-renowned authority on color and you can expect to see Honeysuckle or a tone of this color in fashion and home decor. For your home, honeysuckle can be used as an accent. Apply this color to throw pillows, paint one wall or pick accessories in this color. Adding splashes of the honeysuckle in a room will keep the space gender neutral and will compliment any neutral decor. Go ahead – experiment with this color and have fun. An Office Remodel completed in the City of Trenton.